Shoppers from mainland China at swanky Shatin mall in the New Territories. Many Hong Kong people seem to view these day visitors from across the border with a mixture of delight and dismay. They add a lot of money to the local economy, and are an easy target for the anti-mainland China sentiment that is prevalent in Hong Kong. 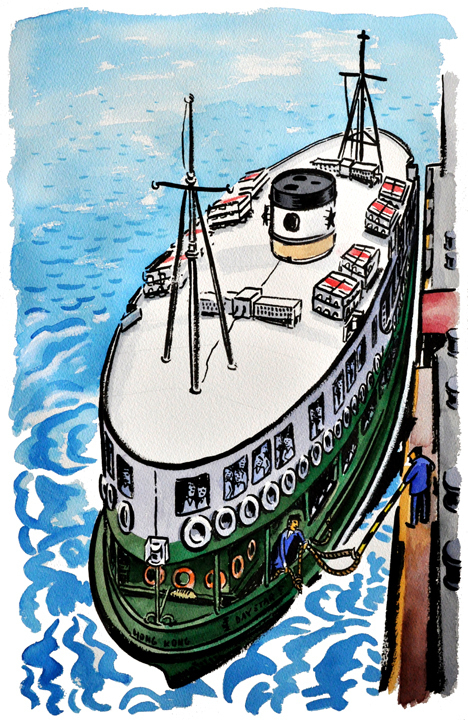 The Star Ferry, Central pier. Crossing the harbor on the ferry elevates my spirit. I go out of my way to ride on it whenever I can. Scene from an alley in Sai Kung. 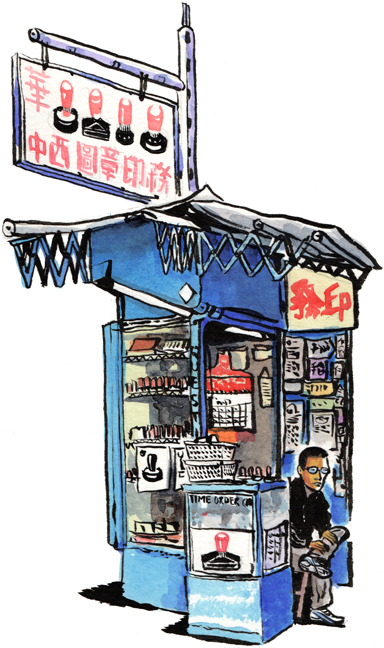 Hong Kong is such a vertical city to me, reflected in the vertical format of this sketch. I'm inspired to sketch horizontally down by the harbor where there is more open space.